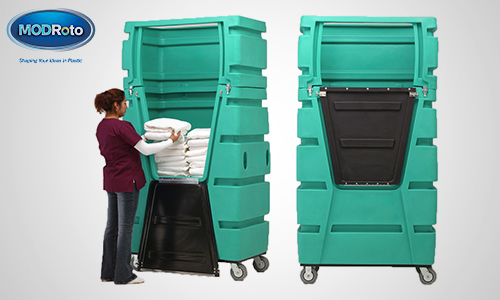 The 72E extra large laundry cart stretches the amount of linen and laundry that can fit in a single cart load to boost capacity beyond any other linen cart on the market. This high-efficiency concept extends the height of the cart to take full advantage of otherwise unused space in delivery trucks and trailers. You pack more pounds per cart, fit more pounds per trip and even cut the number of trips to consolidate routes and enjoy massive savings in fuel costs. 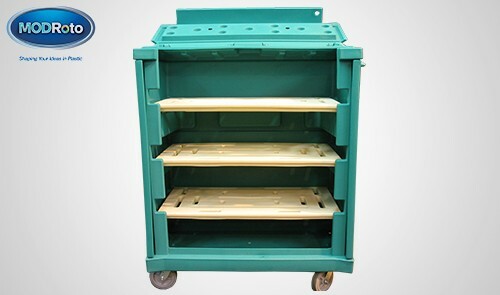 The 72E starts with our 72S laundry cart and sets an extension module on top. Sturdy, metal clips join the two together as a single unit of high efficiency transport. 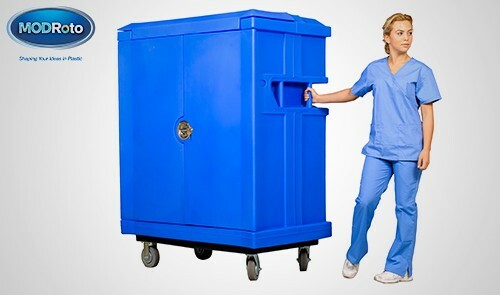 An optional, rotomolded front door keeps linens in place during transport and deters casual theft. 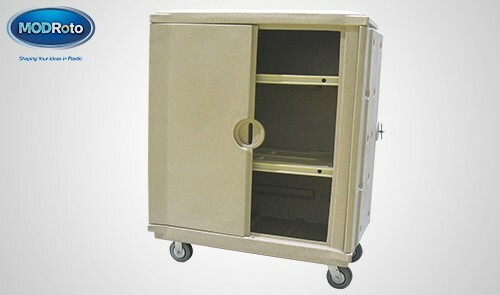 The cart is set on our powder-coated, steel support as standard and on our smooth, poly-steel base as an option.